The bell will ring for ‘The Battle of Brisbane 2 – Horn Vs Hellraiser’ tomorrow night in Brisbane as Australia’s newest boxing sensation, giant-killing Jeff Horn defends the WBO Welterweight title he usurped from Manny Pacquiao, against Gary Corcoran. Palmerbet Sports Team take a look at both fighters! Corcoran – 17-1 (7 wins by KO). 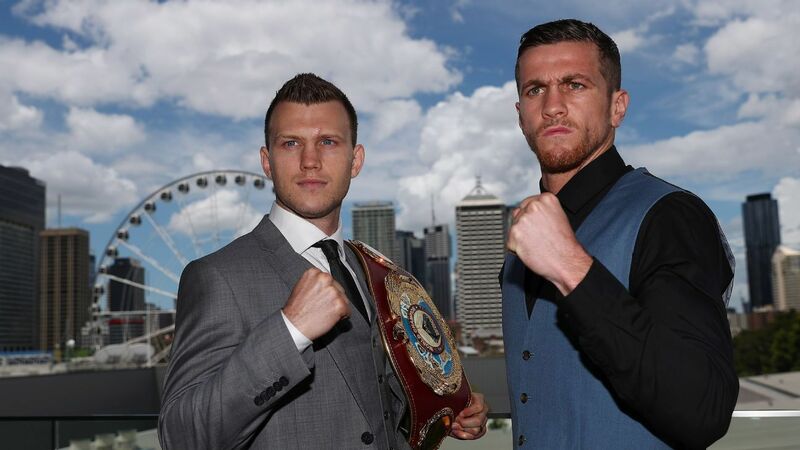 After stunning the boxing world just five months ago, Jeff Horn returns to Brisbane to defend his WBO welterweight title against Englishman, Gary Corcoran. This time a year ago, Horn was a simple school teacher with a dream, but after shocking Manny Pacquiao earlier in July, he’s now become a household name. The 29-year old still has a lot to prove, however, and his opponent, Gary Corcoran, can’t be taken lightly. This may be the 27-year old’s only chance at a world title, so expect him to come out swinging hard. With Horn trying to persuade the world that he is indeed to be taken seriously within the welterweight division, overlooking a young fighter like Corcoran could be a fatal mistake. ‘The Hornet’ has banked on landing a knockout punch early, and although he’s trained for 12 rounds, don’t be surprised if Corcoran pushes the champ the distance. He’s got a lot of experience going toe-to-toe with young athletic fighters, with five of his last seven bouts lasting 10 rounds or more. Punters should remember, Corcoran is in the same “underdog” shoes Horn was not so long ago.